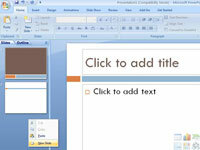 1On the Home tab, click the New Slide button in the Slides group. 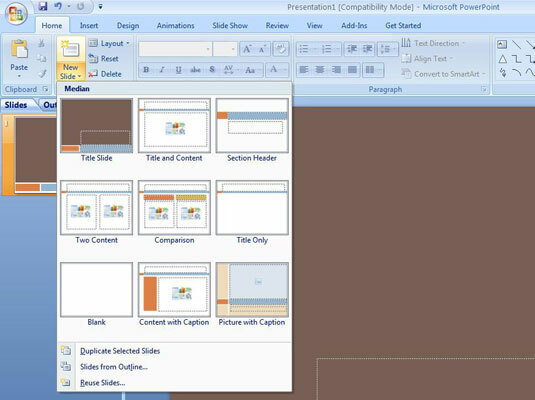 PowerPoint adds a blank slide to your presentation. And again, PowerPoint adds a blank slide. 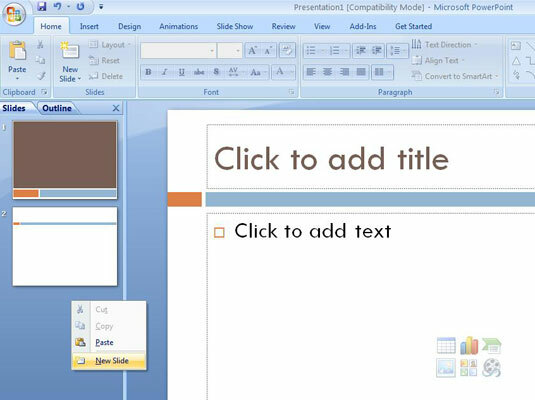 3Right-click in the Slides or Outline tab on the left and then choose New Slide.